The Pixelmator Team has launched the AI-powered Pixelmator Photo, a $4.99 app that gives photographers all the tools they need to edit photos on iPad. It sports a collection of nondestructive, desktop-class color adjustments, AI that enhances photographs like a pro photographer, full RAW support, a Repair tool to remove unwanted objects from photos, a set of presets inspired by analog photographic films, and more. The myTuner Radio Team has launched Podcasts by myTuner. 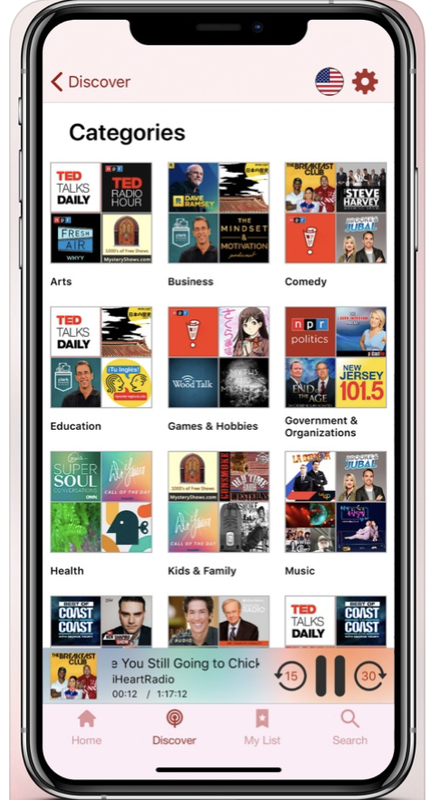 The free app features 20 million podcast episodes from more than 200 countries/territories and in 50 different languages for you to stream or listen to offline. You can discover new podcasts from 16 different categories, search for your favorite ones by title, author or check the top searches. In addition, you can also set alerts, so you don't miss any of your favorite podcasts on this app. Version 1.1 for the Apple TV is now also available for free. It was $2.99 before. Zevrix Solutions has announced BatchOutput XLS 2.5.6, a maintenance update to company's output automation solution for Microsoft Excel. BatchOutput automates printing and exporting of multiple spreadsheets to PDF and allows to carry out professional PDF production directly from Excel. The app offers PDF security, image compression, variable file names and other options. Version 2.5.6 reduces the hassles associated with Apple Event sandboxing, a new security measure introduced in macOS Mojave. Output Factory can be purchased from the Zevrix website for $19.95. A demo is available for download. BatchOut XLS requires 10.7-10.14 and Microsoft Excel 2008, 2011, 2016 or 2019.